Soul Shake returns to the Island Prison cells but this time Collaborating with Rhythm Works.This will not be just scratch beneath the surface but delve into the realm of the unknown. Worldwide FM resident with realises on Dekmantel & Brownswood, Esa is venturing over to Bristol for his first outing in a hot minute. 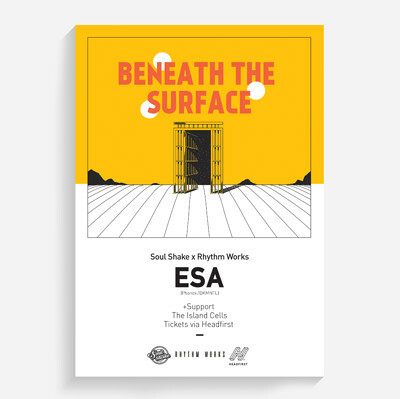 London based South African Esa Williams is a unique breed of talent challenging the electronic music scene by drawing influences from his roots while also firmly looking to the future.